Overall, this was an awesome challenge to participate in and I enjoyed working on this project. There was a lot I learned about Unity and also about how everyone goes about creating and progressing through their projects. In the future I hope to focus more on creating my own assets and maybe starting out small and keeping it simple or in scope. Good luck to everyone and I look forward to seeing your projects. Hello everyone just joining into the Neon Challenge, I'm Justin Motton and I'm going to be continually updating as I progress through the Neon Challenge. I've named my Environment "A Forgotten Power"
What I really liked about this design was the mysterious tone and how both the character Aloy and the machine dinosaurs are pointing towards this unknown structure and it makes you question the purpose of the structure or whats in it. These forerunner structures from Halo were something that I gained some inspiration from in terms of the form and shape that they take. Due to timing I realized I was going to have to speed up the process a bit. One thing that I changed in this particular area was that I felt having the particles right in the middle crowded the space a bit so I moved the particles to two opposing sides one being 'good' and the other 'evil'. 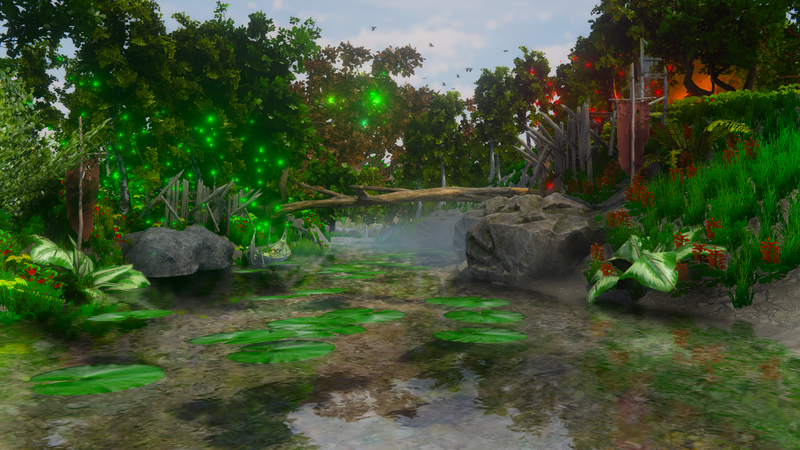 Started adding in a little more particle effects and a little bit of story involving an evil force moving in to try and destroy the power of the forest. As I move towards finishing up the challenge. My main focus will be working within Cinemachine and setting up cameras. Overall, I've had a lot of fun with the entire process. Lighting was one area I really wanted to improve upon in this update. It will still need a little more work in some areas, but I'm happy with how everything is coming along so far. Continued adding in more terrain assets into the environment and particle effects. In my first update I'm just setting up the general layout of the terrain and adding in trees to the surrounding areas. 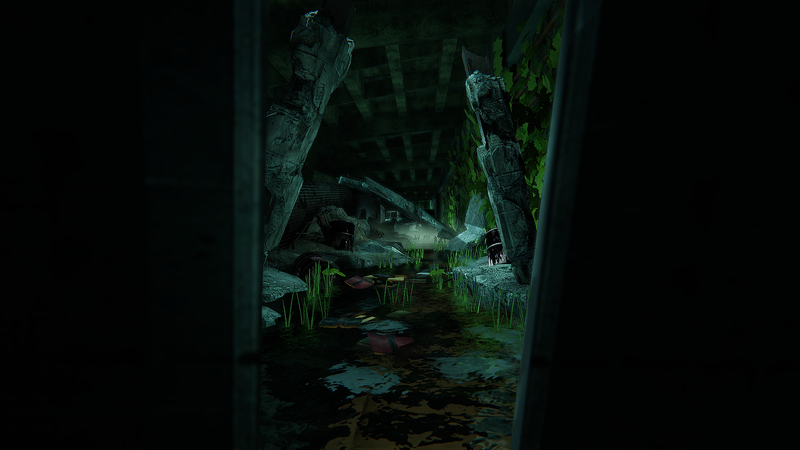 Next up I'm going to take more of focus on improving the Lighting and Post-Processing effects. On the side I'll also take a look at adding in more particle effects.